Following completion of this course you will hold a fully accredited, insurable qualification in holistic hand and foot care that will allow you to work confidently and competently with a range of clients. The course is accredited with IPHM [International Practitioners of Holistic Medicine] for membership and insurance. This is an excellent choice for those who wish to be able to offer a beautiful, safe and effective hand and foot treatment as a stand- alone treatment, or as an add on to existing skills. Its holistic profile fits perfectly with reflexology, aromatherapy, Swedish body massage, Indian head massage, hot stone therapy etc. If you are a therapist that has not studied hand and foot care - this is for you! If you are a beauty therapist that has studied hand and foot care – why not give us a call to see if you would benefit from attending. – This is not just manicure and pedicure! The central skills are natural hand and foot care routines – far more than basic manicure and pedicure, with the addition of teaching of the specialised treatments of warm oil massage using a range of more unusual oils, acupressure, exfoliation, natural hand and foot masks and paraffin wax therapy. 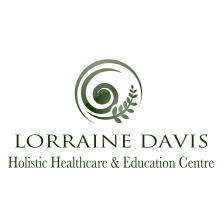 This coupled with the understanding of holistic client care and subtle energy and its flow makes this a special course indeed. ​Simple technique for application of clear nail polish is covered. .